A Special Court on Thursday convicted 24 persons and acquitted 36 others in the 2002 Gulbarg society massacre case, in which 69 people, including former Congress MP Ehsan Jafri, were burnt alive on February 28, 2002. Special Sessions Court Judge P.B. Desai upheld the charge under Section 302 (murder) of the Indian Penal Code, but dismissed the charges of conspiracy under Section 120B against the accused persons. Quantum of sentence will be delivered on June 6. Out of the 24 convicted, 11 have been charged with murder, while 13 including VHP leader Atul Vaidya have been convicted for other offences. Congress Corporator, Meghsinh Chaudhari, and the then Police Inspector of the area, K.G. Erda are amongst those acquitted. During the hearing, the victims’ lawyers had contended that the massacre was a pre-planned criminal conspiracy hatched by the accused to kill minority community members of the Gulbarg Society. This was refuted by the defence, which claimed that the mob resorted to violence only after Mr. Jafri fired several rounds at them. Ms. Zakia Jafri, wife of Ehsan Jafri expressed disappointment over the verdict, saying that all of them should have been punished for killing people and destroying their property. Mr. R.K. Raghavan, who headed the Supreme Court appointed Special Investigation Team (SIT) to investigate the 2002 Gujarat riot was quoted as saying that he had “mixed feelings” about the verdict and would be able to comment only after looking at the order. 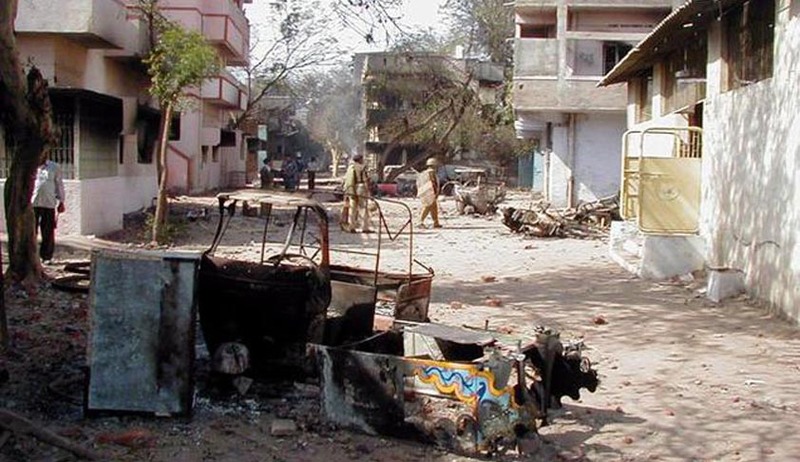 On February 28, 2002, a Hindu mob attacked the Gulbarg Society, a cluster of 29 bungalows and 10 apartment buildings housing mostly Muslims, burning most of the houses and at least 35 people. 31 others had gone missing, and were presumed dead, bringing the total deaths to 69. Former Congress lawmaker Ehsan Jafri had been dragged out, hacked and burnt to death along with 68 others. His frantic phone calls to police officers and senior politicians for help allegedly went unanswered. Ms. Jafri had then filed a complained on June 8, 2006, alleging that the police had not registered FIRs against the then Chief Minister Narendra Modi and 62 others, including several ministers and top officials of the state administration. In 2007, the Gujarat High Court refused to entertain her plea. The Supreme Court had then stepped in, in 2008, ordering the Narendra Modi Government to re-investigate nine cases in the 2002 Gujarat riots, one of which was the Gulbarg Society massacre. The Court constituted a Special Investigation Team (SIT) headed by former CBI Director R.K. Raghavan to look into the matter. PM Modi was given a clean chit in 2010, after being questioned extensively by the SIT. Following this, in December, 2010, Zakia Jafri and other victims filed an application before the Supreme Court of India, demanding that the SIT report be submitted to the Ahmedabad Court as ordered by the Supreme Court, within 30 days. The report had exonerated PM Modi. This was subsequently challenged before the Supreme Court. The challenge was however unsuccessful. The Trial had then concluded in September 22 and the Apex Court had directed the SIT to submit the final report by May 31, 2015.